A handsome Vintage Doxa 1943 Mens Sub Seconds 35m Watch in fine condition. 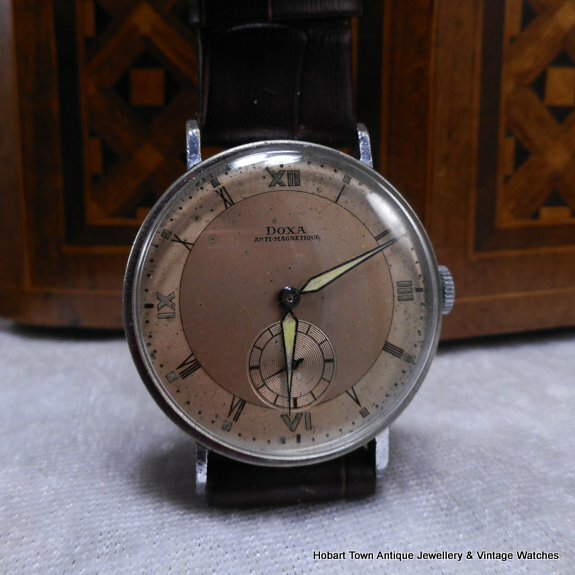 This Vintage Doxa 1943 Mens Sub Seconds 35m Watch is a rarely seen model from one of the stalwarts of early Swiss vintage watch manufacturing. Being born into a poor family of 13 children will often provide the source for unbounding determination to ‘rise to a higher station in life’ or may be the beginning of what was often a hard and short life. 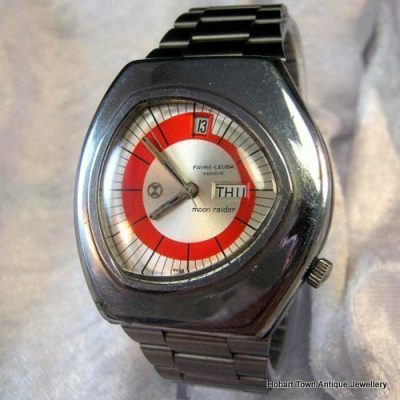 Fortunately , for those with a passion for quality Swiss vintage watches , Georges Ducommun was determined to make ‘something of himself’ …………. and that he did ~ with his legacy living ! 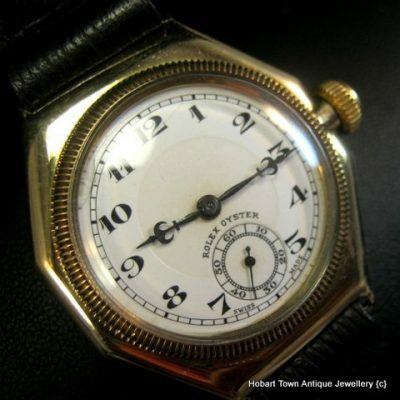 Starting his long career at the very tender age of 12 , via an apprentice ship to a watch assembly Master , which was always going to be a perfect process to learn and understand ‘the soul’ of a watch ……………… as watchmaking was far more than a job for the 12 yr old George. The maker of some especially fine pocket watches during the 19thC and as mens watches moved from their pockets ~ to their wrists in the early 20thC ~ George Ducommuns was at the forefront. He later collaborated with other Swiss legends to advance Swiss watchmaking technology. 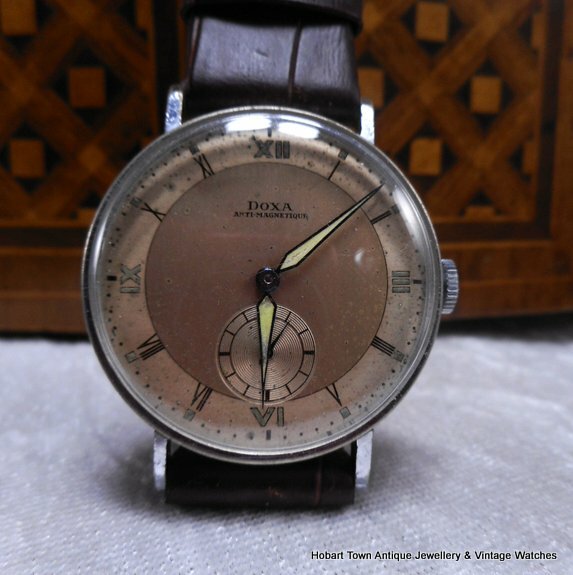 This handsome Vintage Doxa 1943 Mens Sub Seconds 35m Watch is one such example. 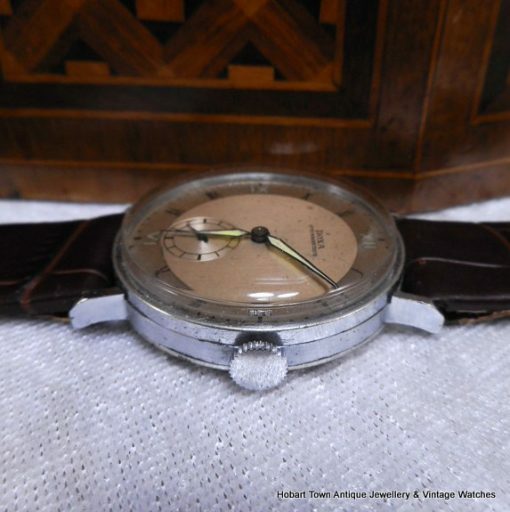 Remaining in 100% original condition with a stunning dial. Solid , sturdy straight side case in good original condition. 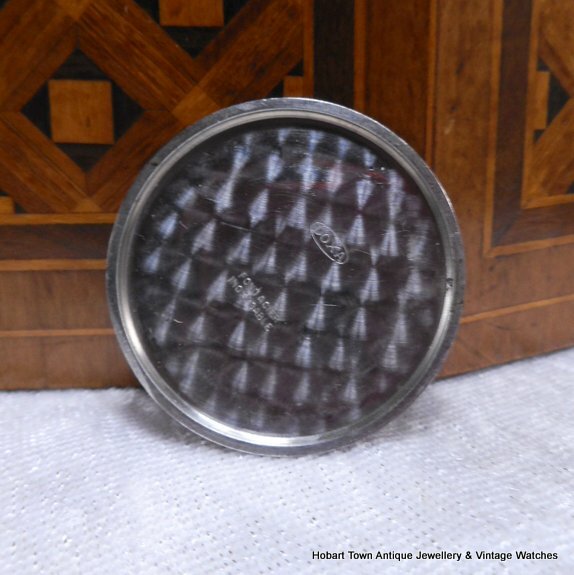 All combine to make a very appealing dial and all original. The Doxa SA movement is running strong and keeping good time and is a reliable manual movement. 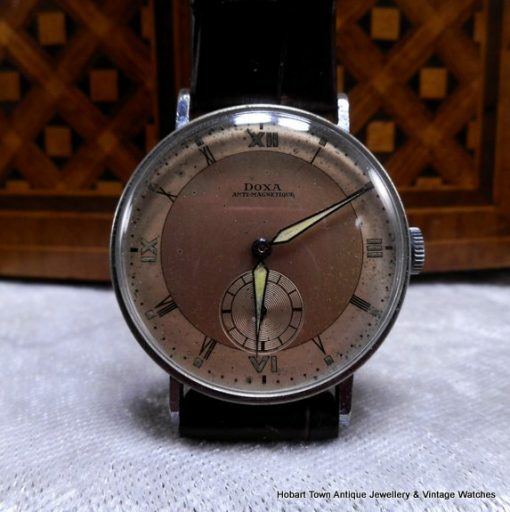 At 75 years of age not only is the dial in great condition , the 35m case has never been repolished and is in fine vintage condition with minimal signs of age. 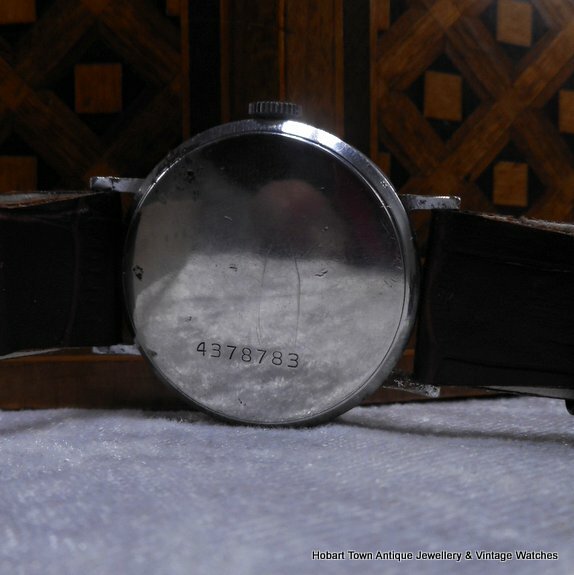 Signed 4 times in total , dial case inner and movement x 2 …………. as we always do ~ we guarantee that the watch is all original. 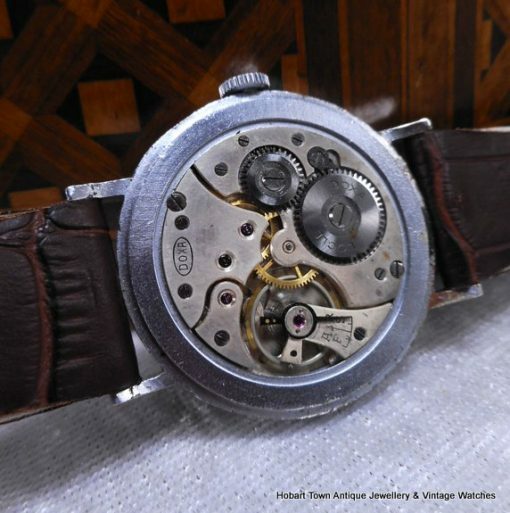 With the rapid rise in collectors and values over the past 20+ years , buying a vintage watch can be “a minefield” with the extremely high percentage of watches on the market that are not as purported and made up from various parts or having had the dial repainted! 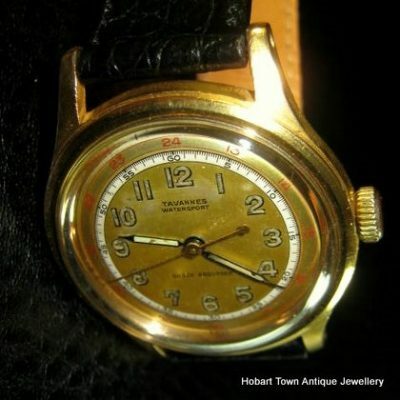 That is why at HOBART TOWN we guarantee that all watches which we sell are as they are stated to be in our listings or a full refund is offered. Providing genuine security and peace of mind that our customers! At au$1,185 ~ this handsome Vintage Doxa 1943 Mens Sub Seconds 35m Watch with new leather fixed lug strap fitted , will be solid , reliable and handsome vintage legacy of George Ducommuns legacy for one admirer of quality vintage watches. Please enquire with any questions via the above tab.